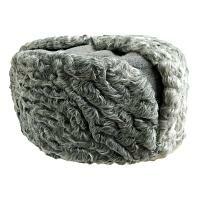 Gray Persian lamb (Karakul) hat with ears or ear flaps (ushanka, trapper hat, aviator hat, or trooper hat). 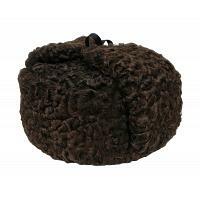 Ushanka literally means "hat with ears" or "hat with ear-flaps". 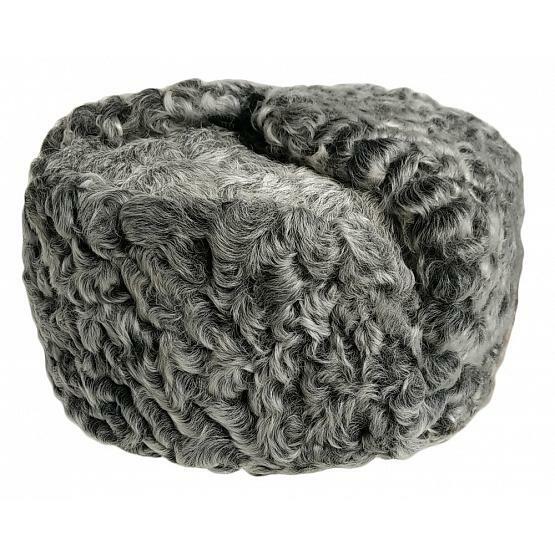 Handmade by top class furriers of real Astrakhan fur, this cozy fur hat will keep your head warm in any weather. Shade may vary. 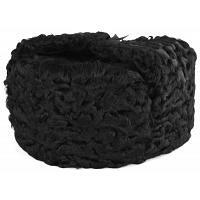 Height: approximately 5 7/8 inches (15 cm). Production time: up to 7 business days.